Each showcase has found Clapton curating a stellar lineup of musicians, offering the chance to see multiple generations of music legends collaborate with one another. 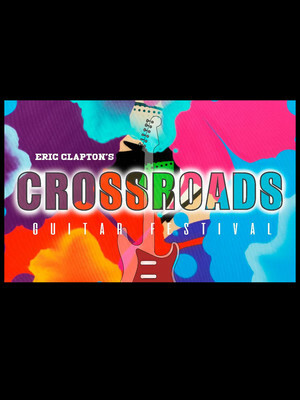 Why See Crossroads Guitar Festival - Eric Clapton? Over the course of an almost six-decade-spanning career, iconic English classic rock icon Eric Clapton has brought joy to millions of fans with his bluesy licks, insightful lyrics and satisfying songcraft. Yet the 18-time Grammy Award-winning legend has experienced both personal tragedy and the dark side of rock and roll, falling into a spiral of drug abuse and alcoholism over the years. In 1998 he founded the Crossroads Centre, a rehabilitation and treatment facility based in Antigua to help others through the same struggles he eventually overcame, and has been raising funds for the organisation with the annual Crossroads Guitar Festival since 1999. Celebrating the brightest musicians on the six stringed instrument, the festival returns to Dallas this fall with a thrilling line-up of musicians young and old from across a bright spectrum of genres and styles. 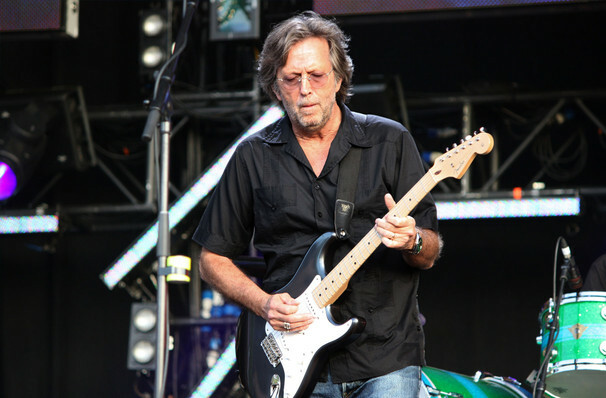 Clapton has invited the likes Derek Trucks, Susan Tedeschi, Gary Clark Jr, Peter Frampton, Sheryl Crow (who performed at the inaugural festival), Los Lobos, Keb Mo and Tom Misch amongst others to collaborate and perform together during the two day event at the American Airlines Center. Please check with your chosen venue for a full line-up for each day of the festival. Sound good to you? Share this page on social media and let your friends know about Crossroads Guitar Festival - Eric Clapton at American Airlines Center. Please note: The term American Airlines Center and/or Crossroads Guitar Festival - Eric Clapton as well as all associated graphics, logos, and/or other trademarks, tradenames or copyrights are the property of the American Airlines Center and/or Crossroads Guitar Festival - Eric Clapton and are used herein for factual descriptive purposes only. We are in no way associated with or authorized by the American Airlines Center and/or Crossroads Guitar Festival - Eric Clapton and neither that entity nor any of its affiliates have licensed or endorsed us to sell tickets, goods and or services in conjunction with their events.